Please consider your fellow club members for the following perpetual trophies awarded at the end of each season. They are open to all members of our Club. They can be awarded to committee members, coaches, managers, players or supporters. A junior or Senior player who is deemed to be the most improved throughout the current season. Two awards, one male and one female. The person who has made a positive contribution to the club throughout the season, up front or behind the scenes, on and/or off the field. 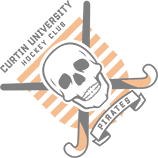 Pat was the founding Secretary of the original Pirates club, in 1931. She also worked tirelessly for both the club and hockey in WA never wanting recognition for her efforts. This is the most prestigious club award presented to the person who has done the most for the club throughout the entire year, working to improve it or just by getting involved in many aspects, on or off the field. Playing or supporting, basically exhibiting dedication to the club and its members.